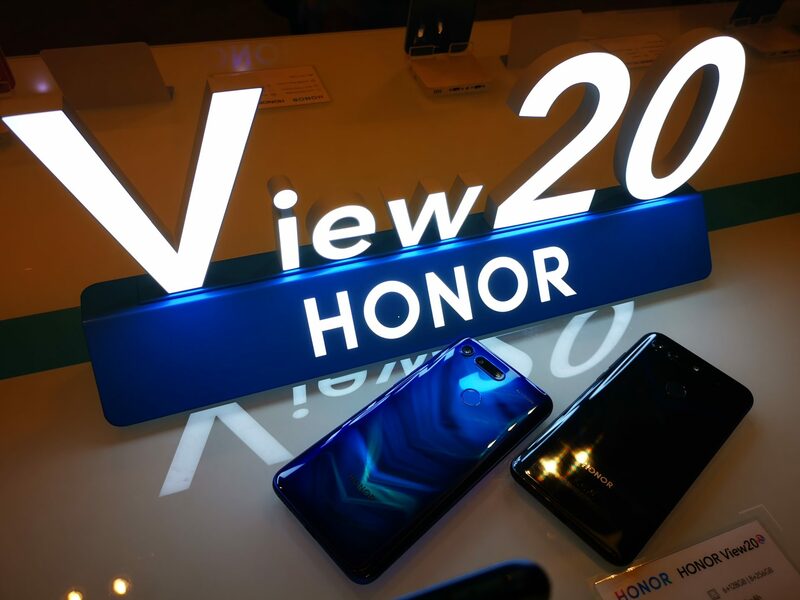 Yesterday, HONOR’s flagship smartphone for 2019, the View 20, was launched in Singapore. Having the same compute hardware specifications as the Huawei Mate 20 series, which is known to be one of the top smartphones of 2018, the View 20’s new and improved features could really give the Mate 20 series a run for their money. So let’s take a look at Goods and Bads of this new smartphone. Hole-Punch Design – The new HONOR View 20 has a unique hole-punch design for its front camera. This allows the smartphone to achieve an almost bezeless display design. We think that this could set a new trend for the new smartphones of 2019. It’s really pretty – The design of the rear of the HONOR View 20 sets itself apart from any other smartphones in the market. It has a chevron styled design which reflects beautifully under different lighting conditions. Moreover, the back of the smartphone is also covered by a piece of 3D glass which is curved at the sides. This gives a pretty good grip and feel in the hand. Great potential in taking outstanding photos – The HONOR View 20 is the world’s first smartphone to come with the new Sony IMX 586 sensor. This gives the smartphone the capabilities to take photos of up to 48MP. Added with the phone’s AI scene recognition capabilities, the photos coming from this phone are expected to look much better than usual. Ultra Clarity Mode is a game-changer – With the new firmware update coming to the HONOR View 20, Ultra Clarity Mode will be enabled. Similar to the phone’s “Night Mode” feature, which takes multiple photos under different exposures and stitch them together, the Ultra Clarity Mode does so in daylight conditions. With Ultra Clarity Mode, 48MP photos can be captured and in high details. This means that you can simply zoom into your photos and not see any blur! Depth sensing capabilities brings about many benefits – With a Time of Flight (TOF) camera sensor, the View 20 is able to understand the depth of items when capturing photos. With such a feature, the smartphone is able to perform like “a Microsoft Kinect”, allowing the device understand between the subject and the background. This allows interactive games and features such as “3D Slimming” to be possible. Somewhat affordable for a Flagship device – The HONOR View 20 retails from S$699. Compared to the Huawei Mate 20 Pro, it’s actually just half the price! No MicroSD Card Storage Expansion – Understanding that the phone focuses a lot on its imaging capabilities, users are expected to take a lot of high quality photos and videos. However, there is no option for users to expand their storage on the phone. Perhaps, many will argue that the internal storage of 128GB could already be more than enough. No Stereo Speakers – The multimedia consumption experience on a smartphone focuses a lot of its display and speakers. It’s sad that the the HONOR View 20 only comes with a mono speaker, putting it behind flagship smartphones from other brands which all have stereo speakers. Hole-Punch Design? – While this design could bring a lot of benefits by maximizing the screen to body ratio, it could be rather distracting at first. Also, in fullscreen mode, certain images could still be cut out. It seems that users will have to get used to this design, or learn to live with it. That’s it! This is a quick overview of the new HONOR View 20 Pro. We will be taking a deeper look at this smartphone to better understand its performance and other features, so do look out for it! From Jan. 24, 2019, 5pm onwards, all the devices launched at HONOR’s 1st showcase event for the year at Marina Bay Sands will be available for purchase at our online official stores on Qoo10, Lazada and Shopee, at selected Gain City outlets as well as at various authorised retail partners’ stores across Singapore. The HONOR View20 will be available in 2 variants – 6/128GB and 8/256GB, and will be retailing at $699 and $829 respectively. The HONOR 10 Lite, which is a smartphone targeted at the budget conscious, will be available in 3/64GB, and will be retailing at $288. At launch, HONOR has collaborated with Singapore’s third virtual mobile telco, Zero1, to offer to users 2 months of unlimited data with any purchase of the HONOR View20 or the HONOR 10 Lite, from now till end of Feb 2019, or while stocks last. Zero1 shares the mobile network of Singapore’s leading mobile operator, so HONOR View20 and HONOR 10 Lite users get to enjoy the fastest, widest 4G coverage in town on the latest, hottest fashion devices from HONOR. In conjunction with this special offer, Zero1 is also rolling out their Chinese New Year Bonus Data to reward new sign-ups with 12GB Bonus Data for their 3GB To Unlimited Plan and 18GB Bonus Data for their 9GB To Unlimited Plan. The full range of devices distributed via HONOR’s official distributor, Raduga Pte Ltd, will come with an official warranty of one (1) year.